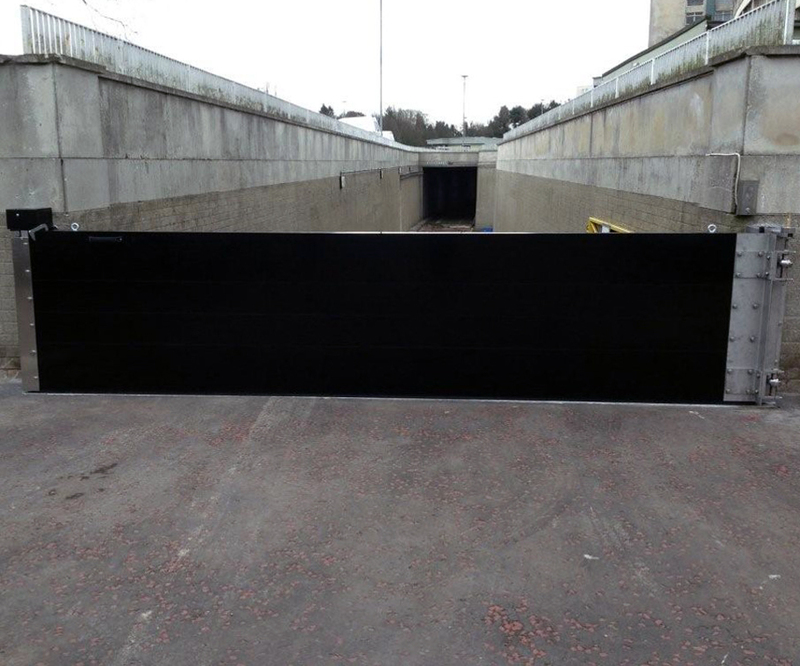 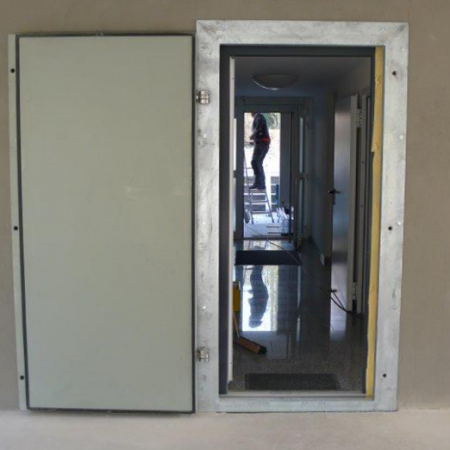 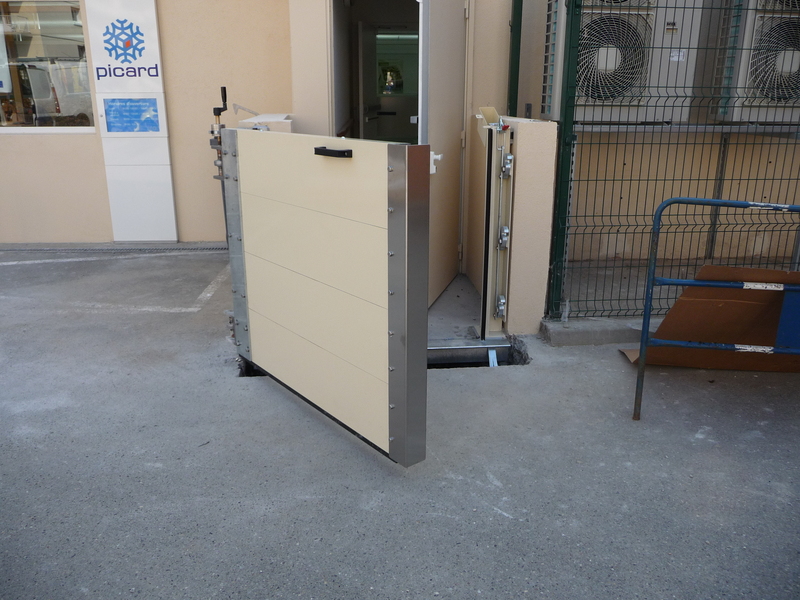 Our Lift-Hinged flood gates utilise a unique ‘raise-swing-lower’ mechanism and do not require recessed ground channels, raised ground beams or ramps. 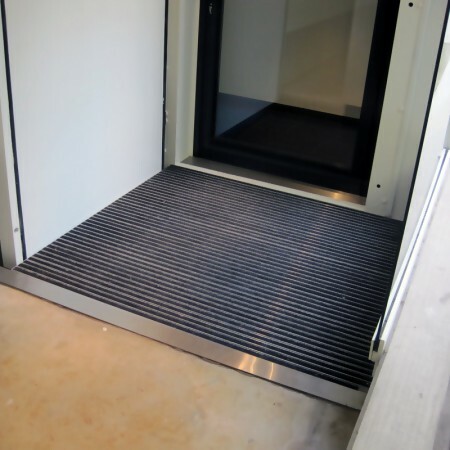 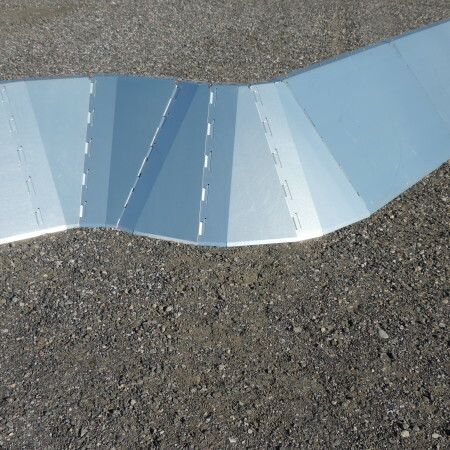 This makes them ideal for vehicle entrances and especially suitable for forklift or wheelchair access. 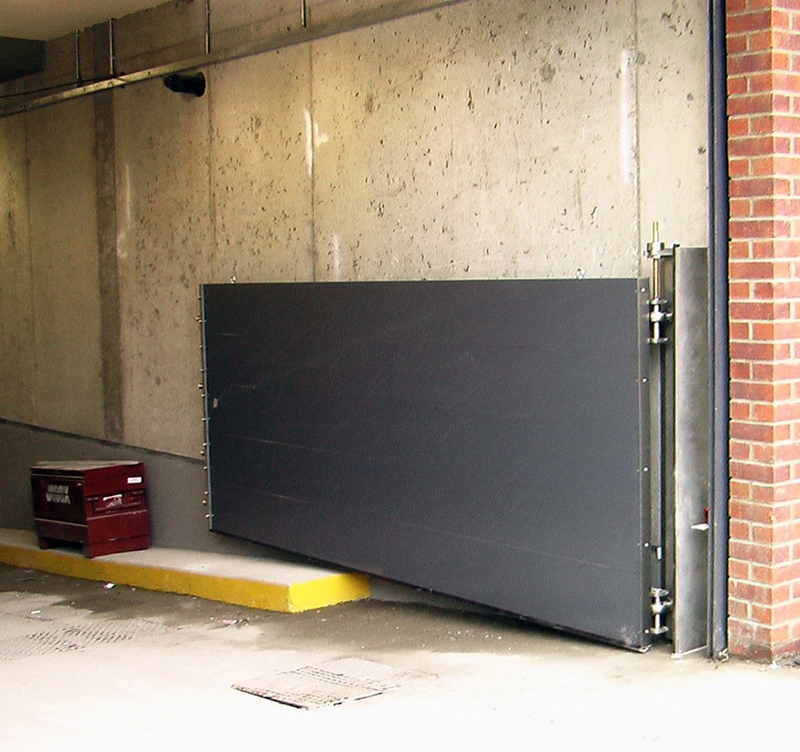 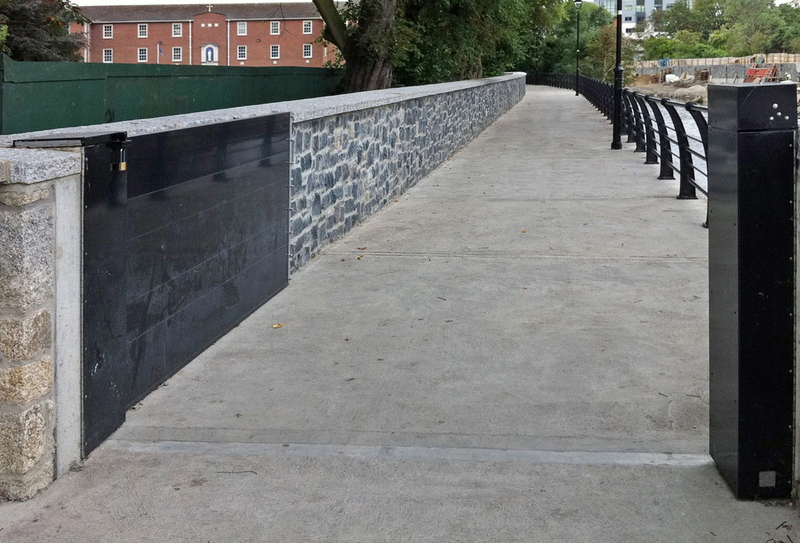 Even the widest flood gates can be operated by one person using the smooth winding lift action and the single point locking mechanism. 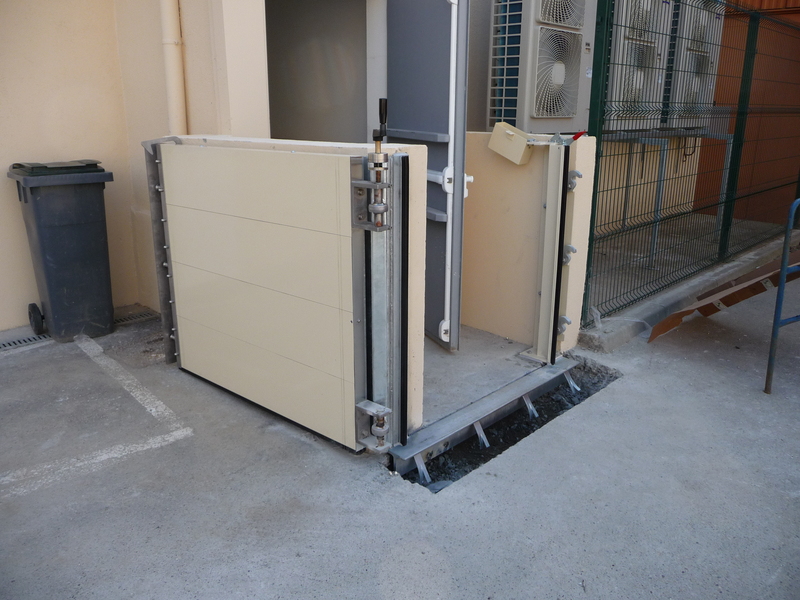 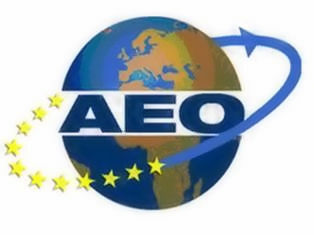 The lightweight aluminium construction also provides a far higher level of operator safety than heavy steel gates. 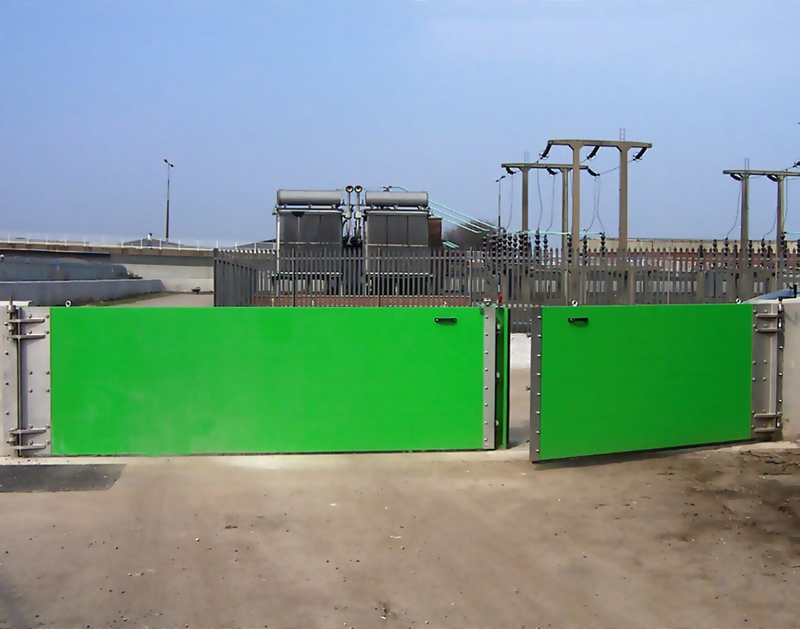 Due to their unique design, the gates are able to open a full 180°, either with or against the direction of flooding. 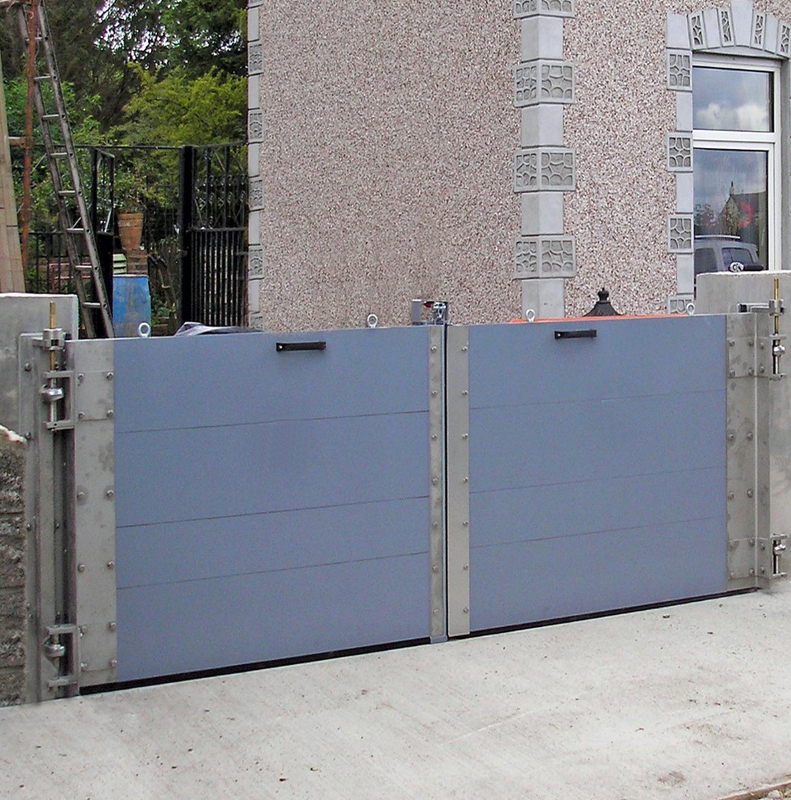 These flood gates are available as single or double leaf, or integrated with a stop-log system for wide entrances. 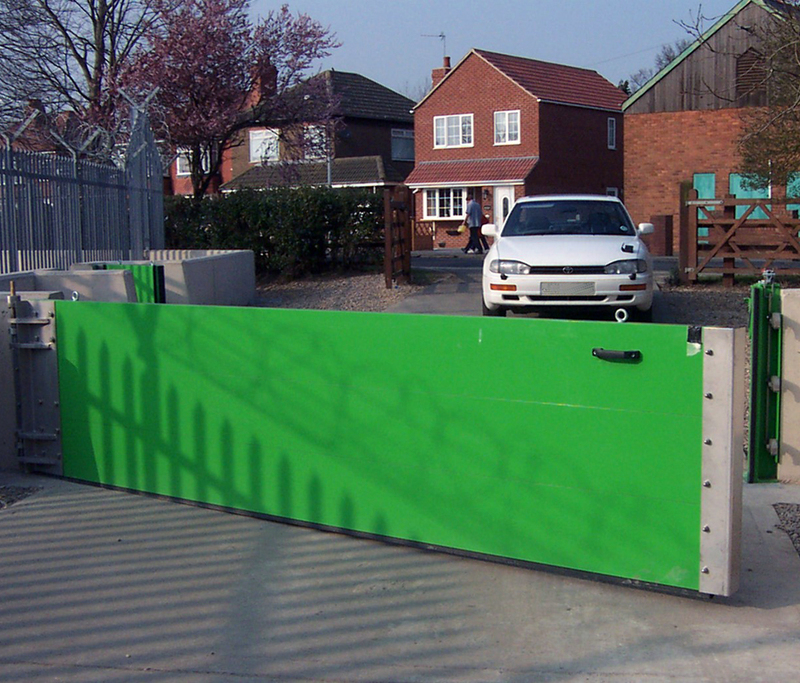 Our gates are suitable for use in unmanned locations, are fully lockable and come complete with anti-theft and vandal resistant features. 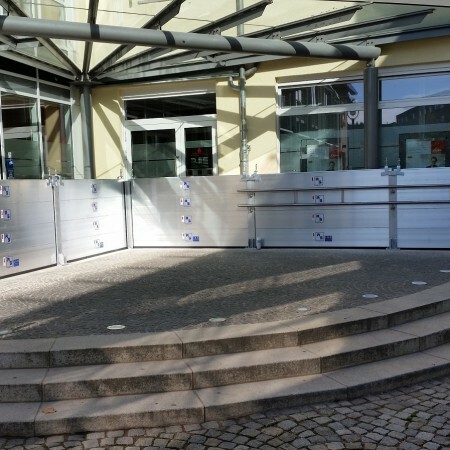 The components are manufactured from construction grade steel and aluminium with stainless steel and are virtually maintenance free. 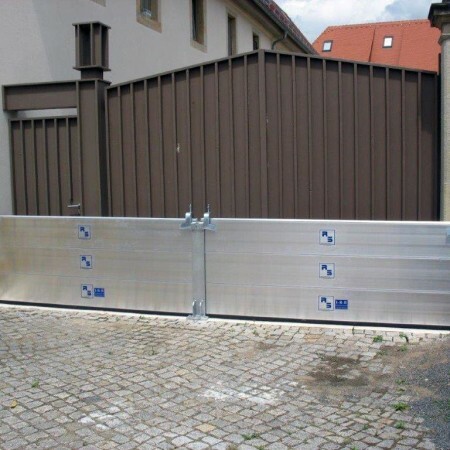 They are designed for extreme weather durability to give a lifetime of service and with EPDM seals that reform even after prolonged periods of compression, the gates can, if required be left closed indefinitely. 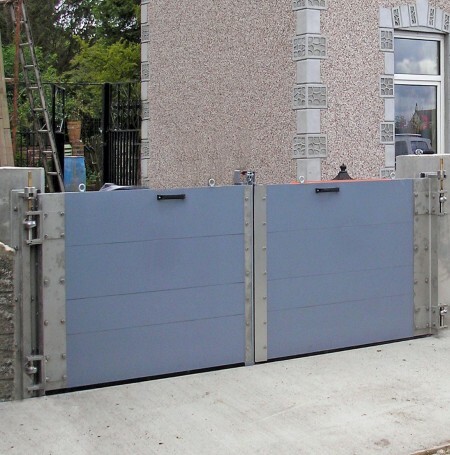 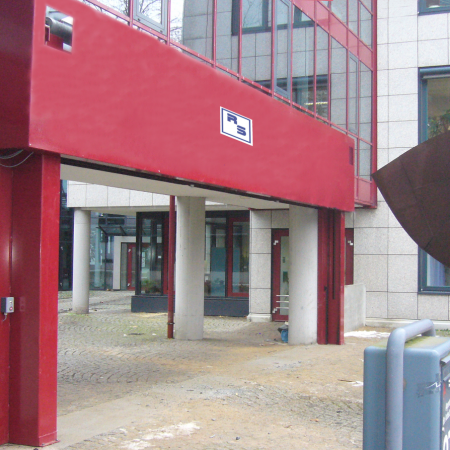 For locations where gate leafs greater than 4.5m wide are required, we can also manufacture these gates from steel to any size. 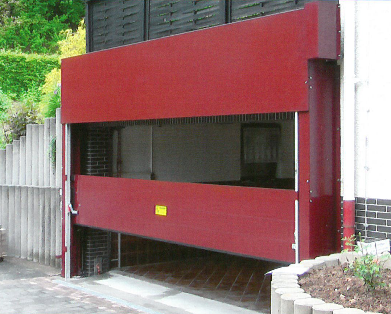 Easy to use lift-hinge floodgate suitable for roads, vehicle and disabled access, flood depths up to 1.85m as standard. 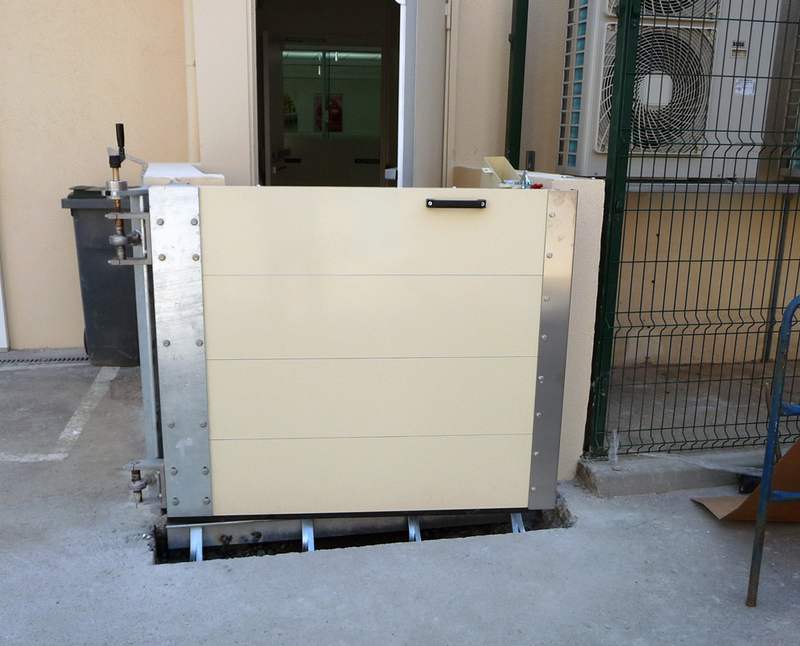 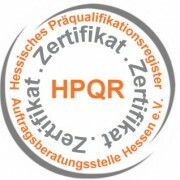 System dimensions: “Single-piece systems” up to a width of 4000mm and a height of 1500mm (height depends on clear width). 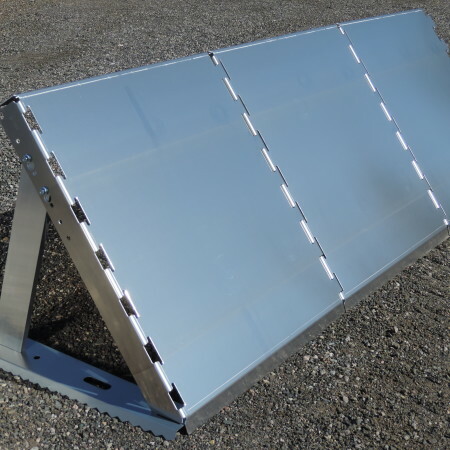 Split system with central post.